This week I finished the worship module on the pioneer mission leadership training course. We ended by thinking about communion. It is a ritual I have always found incredibly meaningful with the power to sustain and comfort beyond the mere outward signs of bread and wine. As we celebrate Easter, it becomes a yet more potent symbol of Christ’s love and sacrificial death. However, how do we make this ancient practice that Jesus commanded us to do “in remembrance of Him”, relevant in a largely secular and post-modern society? In the Anglican tradition, worship reaches a crescendo with communion and before it is administered there is a Eucharistic prayer that seeks to encapsulate the purpose and significance of this rite. I therefore decided to have a go at writing my own, in an attempt to apply some of my reading. This included discussions about how far Christians should reflect the surrounding culture so that it is appropriate and meaningful, while holding in tension the need to critique society’s values when they are at odds with the message and methods of Christ. Alan and Eleanor Kreider in their book ‘Worship and Mission after Christendom’, refer to this as the indigenizing and pilgrim principles (p.76). In response to this, I began to think about what it means to share a meal when our houses are no longer built with the space for a dining table and each member of the household eats when it suits them from a tray on their lap in front of the TV. I have also been reading a lot about shame. (I know, I am really fun to hang out with!) Alan Mann in his book ‘Atonement for a Sinless Society’ sees communion as a wonderful opportunity to bring our personal stories in dialogue with the gospel story. It is here we can find the hope of reconciliation within ourselves as well as with one another in community and the ultimate ‘Other’ who is God. However, Steve Pattison in ‘Shame: Theory, Therapy, Theology’ reminds us that much of the liturgy and practice of the church actually re-enforces shame and that it has been used as an effective means of control by religious hierarchies. So how might I compose a prayer that expresses the liberation from shame that Christ won for us and avoid words that compound our sense of unworthiness to know love and belonging? Well here is my attempt! And before you throw your hands up in horror, I realise that it probably breaks canon law and the liturgical police might come knocking. That said, it is my creative attempt to ground some of my thinking. I believe that if our faith is to be real and alive with new possibilities we have to wrestle with theology. Mission is, in my opinion, the best motivation for just this kind of experimentation and risk taking. If we don’t work harder and smarter at communicating the salvation story of Jesus for our own time and context the statistics show there will be no church in the UK in a hundred years time. So what treasures in your tradition could you re-frame and re-imagine to enable those outside your church to encounter Christ in a way that makes sense while remaining true to the basic tenets of the faith? It’s a challenge. But the rewards are worth all our soul-searching, mistake-making and frustration as it is in this process we are changed and re-engaged with God in surprising and exciting ways. We sit before you, side by side, isolated and distant. Hoping to be distracted, entertained, transported to an alternative existence. We eat without tasting, we gather without noticing, locked in a conversation that takes place between our ears. Yet the God-man Jesus invites us to dine with Him tonight. A table has been laid and He waits for us to take our place beside Him. A banquet has been prepared and our favourite dishes are set before us. He wants to know us. He is curious about our thoughts, preferences and dreams. For through Him all experience of life, love and the created world was made possible. We are a reflection of His goodness and embodied potential for newness. We are so grateful that because He practised what He preached to the point of dying to maintain His authenticity, we don’t have to live up to the expectations of our ideal self. We can be free to reveal who we really are and find that we are worthy to be loved by God and those with whom we long to be in relationship. Even death on a cross could not stop Him fulfilling his purpose and He rose to a new life. We thank you that this means, we too can look forward to our pain and loss being transformed into faith and hope if we choose to trust Him in vulnerability. Jesus returned to Heaven so He could advocate on our behalf but He sent us a helper, the Holy Spirit, who gives us divinely inspired visions and insights to encourage and direct us. Hosanna in the the highest. May we live an integrated life where we are at one with ourselves and actively looking to make the most of every opportunity to partner with you in bringing peace, healing and justice to the spheres where we have influence, as Christ demonstrated for us. it removes all fears, regrets and hurts you have inflicted on yourselves and others, that has kept us from one another. So as we remember the freedom and healing Christ offers us, we look forward to a day when He will return and restore all creation to beauty and wholeness. Until then turn us from the impassive screen to see your reflected glory in the eyes of those we keep at arms length. Help us risk intimacy and build community such that the value of relationship is displayed and we show how dreams of a better and fairer world become reality when we live and work together in unity, diversity and mutuality. We invite your Holy Spirit so this bread might become your body which sustains us and the wine your blood that reconciles us. Empower and motivate us with your love. Give us the strength to bear our suffering and disappointment. Keep us discontent with living vicariously through the shallow and distorted image of ‘the good life’ as portrayed by celebrities. And we look forward to coming home, where we are safe and loved, honest and fulfilled. For it is only through our loving Creator, redeeming Son and enabling Spirit we can be assured that one day our longing will cease and all we have desired and glimpsed will be known in full. Yesterday I spent two and half hours crying at Les Miserables. It was wonderful! Through the power of cinematography a story of redemption from shame came to life. If you don’t want to know what happens, stop reading now. I don’t want to spoil it for you! The story centres around, Jean Valjean, who at the beginning of the film is knee deep in sea water, chained to a line of fellow prisoners, pulling a ship into harbour under the watchful eye of his gaoler, Javert, played by Russell Crowe. It is clear that the 19 years of incarceration have taken their toll. He is well acquainted with suffering and embittered by justice that sought to degrade and dehumanise as punishment for stealing bread to feed a sick child. The terms of his release make work impossible so once freed he quickly becomes destitute. He takes shelter in the doorway of a church and unexpectedly the priest welcomes him in. Treating him as an honoured guest, he is given a lavish banquet and provided with a room in which there is a wardrobe full of silver artefacts. The temptation is too great. Jean fills his sack with the loot and flees. The police find him, drag him back to the scene of the crime but the priest says he has gifted him the treasure and offers the silver candlesticks as well! With no reason to re-imprison him, Jean is freed. This demonstration of forgiveness and unconditional love causes him to let go of hate and adopt a new identity so he can show compassion and justice to others. Jean stays true to his vow, becomes a fair employer and mayor of the town. But Javert, now police chief, becomes suspicious as to his real identity. An inquiry into the allegation distracts Jean and leads to a woman in his employ being unjustly dismissed. She is ill-used and forced into prostitution to provide for her daughter. Jean finds her but it is too late. On her deathbed he promises to care for the child as his own. Although on the run from Javert and in constant fear of being exposed, Jean rescues the little girl, Cosette, and becomes her father. The adult Cosette falls in love with a young revolutionary, Marius, and Jean saves him from certain death at the ruthless suppression of an uprising. During the skirmish Jean comes face to face with his nemesis, Javert, and has the opportunity to kill him and end the years of running. However, Jean shows him the forgiveness and unconditional love that he received and lets him go. Javert cannot stand this. He has always believed that sin must be punished and by upholding the rule of law he was doing God’s will. Confronted with grace, his beliefs are shattered and he can no longer live. Meanwhile, Marius recovers and marries Cosette. Jean cannot bear them knowing the truth of his identity and dying, seeks sanctuary in the convent. Marius discovers that it was he who rescued him from the massacre at the barricade. They find Jean and declare their love and gratitude for the man he really is. He dies at peace with himself, with God and those whom he loves. So what does all that have to do with shame? In the excellent book ‘Atonement for a ‘sinless’ Society’, the author Alan Mann describes shame as the gap between our real selves and the self we construct to present to the world. In the same way Jean had to hide who he really was and create a socially acceptable identity in order to exist in safety, many of us live in fear of having our real selves exposed to scrutiny. We struggle less with guilt at having done something wrong than the shame of feeling we are unworthy of love and the fear that if we are known in reality we will be rejected and spurned. 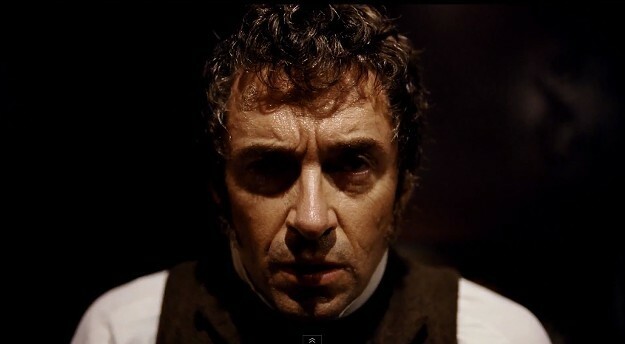 Christianity has so often been understood in terms espoused by Javert, that the law should not be transgressed and wrong-doing must be punished. It is only Christ’s death that satisfies the need for punishment so we can be free. Yet, I believe, faith in Jesus addresses our shame as completely as our guilt. “Shame does not respond to punishment; rather, it is love that banishes shame,” says the missionary Norman Kraus in ‘Recovering the Scandal of the Cross’ by Green and Baker. Like the priest in this story, God does not disclose our offences but offers forgiveness and the hope of a fresh start. There is no need to hide who we really are because the divine sees and loves the beauty of our uniqueness. In the same way that Jean is reconciled and his true personhood is brought together with the construct by love, so Christ’s willingness to die a shameful death for our sake demonstrates both His love and the potential for harmony between the ideal He preached and the embodied reality. It is by experiencing grace in the midst of shame that we can find reconciliation within ourselves, restoring identity, discovering purpose and recovering the potential for meaningful relationships. Have you ever been channel hopping when there is nothing else worth watching only to stumble upon a fascinating story that speaks into an issue you are thinking about? Well I had just this experience on Saturday. I flicked over to BBC2 and became engrossed in a programme about the 1974 Lions tour of South Africa! The Lions are a team made up of the best rugby players in England, Ireland, Scotland and Wales. For a handful of sportsmen it is a once in a lifetime opportunity to travel and compete against the best rugby playing nations in the world. However, in 1974, there was a ban on touring South Africa because all civilised countries were demonstrating their outrage at the policy of apartheid. Despite political pressure not to go, this controversial tour went ahead with unexpected consequences. 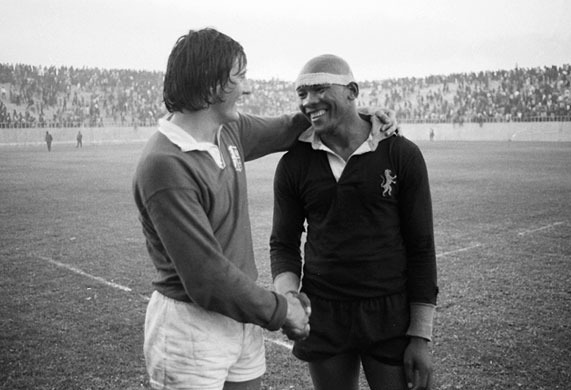 The British Lions smashed the Springbok on the rugby field not once, but twice. And while the white South Africans watching in the stands were silenced by the humiliating defeats of their national team, the penned in black South Africans went wild with delight! At last, the lie of Afrikaan supremacy was exposed and it became clear that international isolation meant a white only South African team could no longer compete on a world stage. Although they should not have gone, the Lions had inadvertently empowered the impoverished ethnically diverse majority and undermined the legitimacy of their oppression. There was still a long way to go, but apartheid had been irrevocably tarnished in the eyes of those who were essential for its on-going survival. While in the context of gender, I might still in some instances be reliant upon others to forgo their power to allow me to shine, there are plenty of other situations when I am the one with the odds unfairly stacked in my favour. For those who are poor, marginalised and afflicted it is my turn to let go of privileges of status, wealth and education to make room for their voice to be heard and have an impact. And, like the Lions tour of South Africa in 1974, it is humbling to remember it could actually be in appearing to collude with the unjustly powerful that I unwittingly unmask folly and wrong-doing to fatally discredit an immoral regime in the opinion of those who maintain it. God moves in mysterious ways and sometimes the things that threaten to undermine His purposes can actually become the very agents of His justice and retribution.